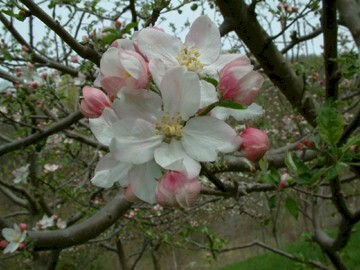 Tompkins County King is a very high quality apple that grows well in the south only in the mountains. It originated in Warren County, New Jersey in the early 1800’s and was brought to Tompkins County, New York in 1804 and named King. It quickly gained favorable recognition for its large size and fine flavor. The fruit is large to very large with yellow skin washed with red and crimson. 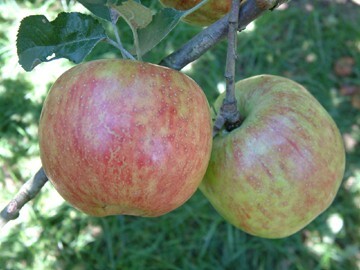 A very flavorful apple with crisp, tender, aromatic flesh. Ripens September to October.